film and animation – Page 4 – Everything is Oll Korrect! Some films are good and some films are bad, and some films are such a thorough mix of good and bad that one struggles to decide whether the work as a whole is good or not. The 1978 animated adaptation of Lord of the Rings, directed by Ralph Bakshi, is just such a movie. Parts of the film look excellent, and it takes a few chances that do pay off, but there are a few major faults that may ultimately sink it. A little over a year ago, I wrote about the first two seasons of the Rozen Maiden anime adaptation (leaving out the OVA, which I haven’t seen). Now, an adaptation of Peach-Pit’s sequel has recently concluded, RM: Zurückspulen. 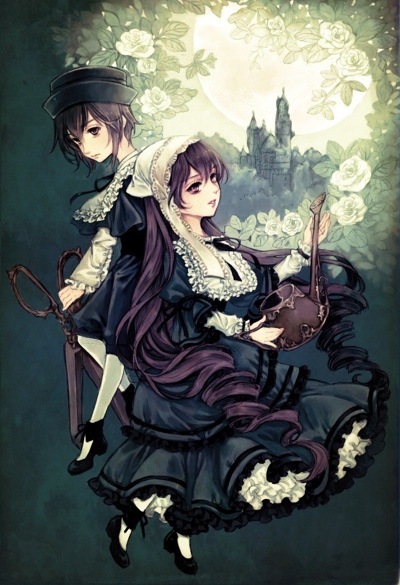 I wrote last year that RM: Träumend is probably the best expression of Rozen Maiden‘s concept, but in some ways Zurückspulen may be slightly better. At the very least, if you liked the previous Rozen Maidens, you need to see this new version, as well. I should point out that this is a sequel and though a newcomer may be able to make sense of events, you’ll need to have either read the original comic, or seen the anime adaptations, for the new story to be especially meaningful. For the rest of this review, I’ll assume that you have some familiarity with the RM prequels. I’ve been following Tanigawa Nico’s comedic manga Watamote (short for the succinct Japanese title, translated: No Matter How I Look at it It’s You Guys’ Fault I’m not Popular!) for about a year, and like it enough that I’ve imported the first three Japanese volumes and am reading them at that slow, agonising pace that characterises my attempt at that language. When the anime adaptation was announced, I had mixed feelings. 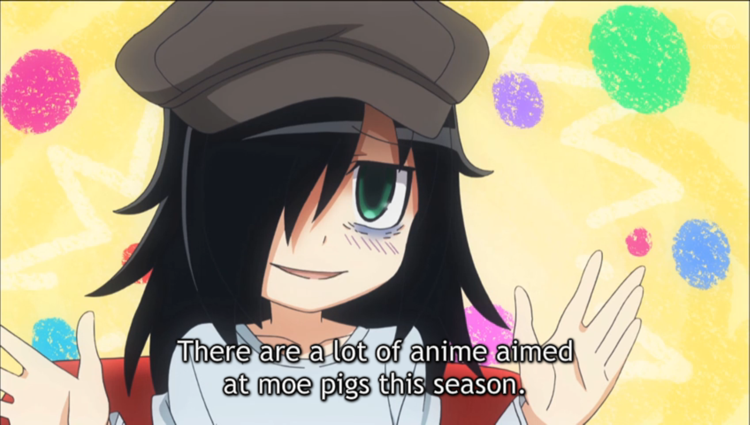 On one hand, Watamote is often almost painful for me to read because of my low tolerance for second-hand embarrassment, which is a constant in this series, and animation would likely only make that worse. On the other, some things do benefit from the switch to animation, especially if the writers try to expand on the story a bit. One consistent problem I’ve had throughout most of my life is that my principal hobby is collecting hobbies. Almost everything is interesting to me, and my shelves are stuffed with books of literature, history, philosophy; DVDs and glorious blu-rays of film and animation; plenty of music and comics. 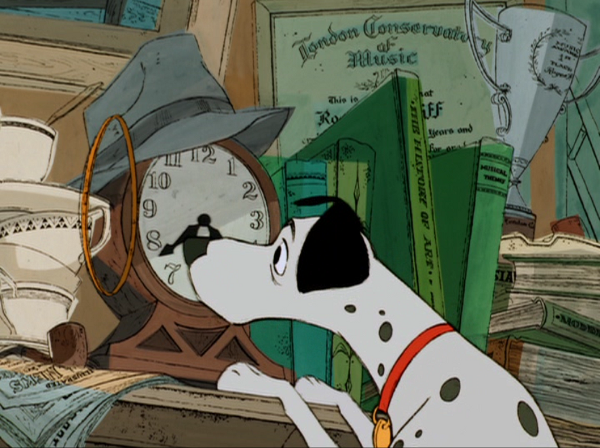 If I had the time, I’d get into even more – theatre, fine arts, sports, cuisine, and who knows what else. So much dabbling does have its advantages. There are few people with whom I can’t find some common interest, provided it’s not too obscure – and even then, there’s a decent chance I’ll at least be aware of what they’re talking about. Having a wide field of reference also helps when dealing with authors or directors who also have a wide field of reference, whether I’m reading through T.S. Eliot’s tangles of allusions or Tanigawa Nagaru’s off-hand references in the Haruhi novels. It also allows me to be especially selective as far as what I read and watch. The majority of the books I read, the films I watch, the albums I listen to, and so on, are at least memorable. Of course, it’s also possible that I don’t have as much appreciation for the excellent since I don’t have as much mediocre content to compare it to, but for now I’m content with the selective approach to media. Unfortunately, I don’t have a lot of free time, so even though I have a working knowledge of so many topics, that knowledge tends to be fairly shallow. So, for example, I watched Puella Magi Madoka Magica as it came out, and though I enjoyed it, much of the discussion of the show centred on how it relates to other magical girl shows. I had nothing to say on that, because I can count the number of magical girl anime and comics I’ve experienced on one hand. I did catch the Faust references, though. There are very few directors (and no actors) whose films I’ll watch simply because of their involvement. Fritz Lang, though, seems to have joined that list. 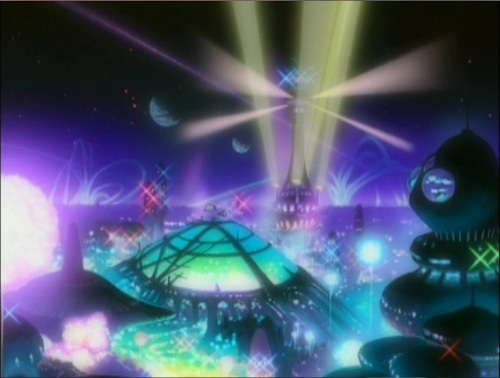 Me being such a fan of animation as animation, Interstella 5555 is a film I should’ve watched a long time ago. It’s compelling and there’s little else quite like it, and even the background of its production is interesting. As Daft Punk were producing their second album, Discovery, they hit on the idea of setting a story to the album’s music, and wrote up a plot outline. 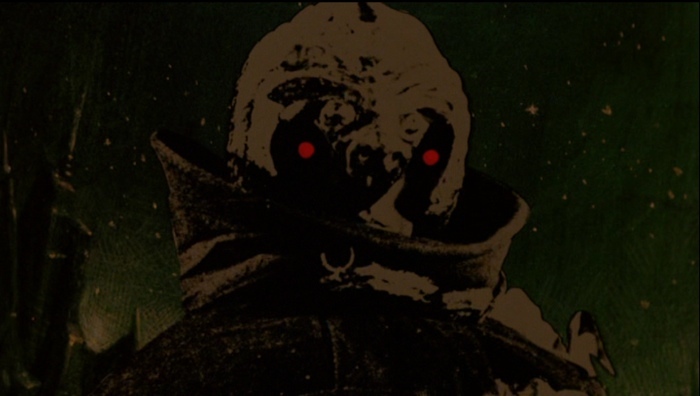 Being fans of Leiji Matsumoto’s anime Albator, they got in touch with him and he agreed to take on the project of creating an animated film set entirely to Discovery‘s music. Besides the English setting, Sword in the Stone has another common Disney trope in that it opens with a picture of a book with some narration. This may have had some novelty value the first time they did this, and I understand that they’re trying to create a certain feeling for the story, but setting up the story with straight narration like this is very easy, and having seen it multiple times now it also feels cheap. Was it just obligatory at this point?